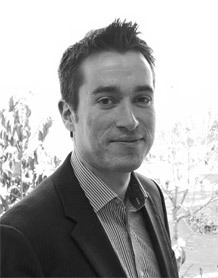 Matthew Cole is a Lecturer and module leader in Competition Law and Mergers and Acquisitions. He also tutors on the European Union Law module. He is the Mooting Director and works with the BLS to help students engage with Mooting and improve their advocacy skills. He joined Exeter University from Cardiff University Law School. He has particular interests in EU competition law and the econoimc theories upon which it is based. He also has particular interests in the application of EU competition law to digital markets particularly in light of the Microsoft cases and the forthcoming Google decisions. Dr Matthew Cole studied at the Bar and was called to the Bar in 2008. He then worked for two law firms as an advocate before returning to academia to study his masters in Cardiff University. After this he completed his doctorate, being funded by both a 125 Scholarship and an AHRC scholarship. In support of his doctoral research he was awarded an AHRC RTSG that allowed him to carry out a research visit to Universtät Freiburg, Germany. He then worked as lecturer in Cardiff University before moving to the University of Exeter.